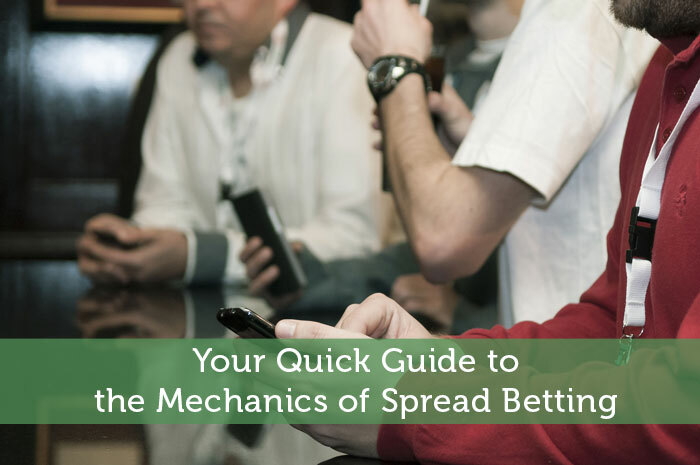 The following is a guest post about spread betting. If interested in submitting a guest post please read my guest post policy and then contact me. Spread betting is an interesting investment alternative available to novices and experienced professionals alike. During the actual spread bet, shares or futures contracts are not purchased. What traders do in a spread bet is simply place a wager on the direction of market movement for a chosen asset. The bet is made per point movement or per penny in the underlying market. The stake is the nominal amount that a trader wishes to bet. This figure can be as low as $1/£1/€1 per point. Information is key to spread betting success. Traders have two ‘investment’ options available to them including the following: a bet that the market will fall or a bet that the market will rise. Correct financial predictions yield a profit in the form of the betting stake x every point of market movement. Alternatively, losses can also be incurred if the market movement works against you. Losses are calculated by the betting stake multiplied by every point of movement against the trader. There are many tools and resources available to traders to mitigate losses. These come in the form of an automatic stop-loss, which limits potential losses to a pre-agreed amount. This amount will be determined once a bet has been opened. It’s important for new traders to understand that automatic stop-loss is not a default security feature available to protect against negative market movements. Traders can for example opt for a guaranteed stop-loss by paying a premium at their preferred online brokerage. There are inherent risks in spread betting, but these are limited to the position that that a trader takes. Risk of capital loss is always a possibility, so traders are advised to limit their investments to what they can afford to lose. Margin trading is a useful tool, but use of it opens the trader up to elevated losses if market movements work against you. It is important to understand the full risk/reward component to spread betting. The literature on spread betting is vast, and the more newbies learn about it the more curious they become. Spread betting provides an opportunity for relative novices to immerse themselves in the financial markets and to generate healthy profits when the markets move in their favour. When profits accrue, there are several inherent benefits to spread betting. These include the fact that winnings in spread betting are regarded as gambling winnings. In the United Kingdom, all gambling winnings are tax exempt – for income tax and for capital gains tax purposes. This is one of the primary drivers of the burgeoning popularity of spread betting in the United Kingdom. There are many other benefits including the following: no commissions/fees, trade on margin, no stamp duty, easy alternative to stockbroking and a wide range of assets to choose from. If at all possible, newbie traders are encouraged to register with a spread betting platform that provides a demo account. The demo account will allow traders to practice spread betting strategies, methodologies and techniques online – without risking a cent of their bankroll. Multiple resources are available to traders in the form of user manuals, videos, webinars, guru guides and market commentary. Regulated spread betting and CFD trading providers are preferred, since traders can enjoy hassle-free deposits and easy withdrawals of their winnings. A nice breakdown of spread betting. I’ve tended to be quite vanilla in my approach to investing, but it’s worthwhile looking at derivatives strategies. Sometimes there’s nothing wrong with a vanilla approach. It’s a matter of finding what works well for you and ensuring you have some diversity. Sounds interesting! I’d love to learn more about spread betting and give it a try. I believe a lot of people will try their hand at this too as an alternative to gambling in casinos and to trading in the stock market. Of course everyone has to realize that there are always risks involved and that you need to study it first. And what’s important is to limit and control yourself so you don’t end up losing a lot of money. Perhaps it’s best to just allot a certain percentage of your income for recreation/leisure and use this to try spread betting, while investing a portion of your earnings in more stable and long-term assets. You mentioned this is for novices and experienced professionals. Is Spread betting software for stock exchange or Forex? what countries can i use this with? example PSE. Spread Betting is good because it diversifies your investment money i guess. Takes care little bit of the thinking i have to do of the probability which stock gives the best ROI. Now how to retire a millionaire from participating in the stock market? Unlike from building a company then selling it later.